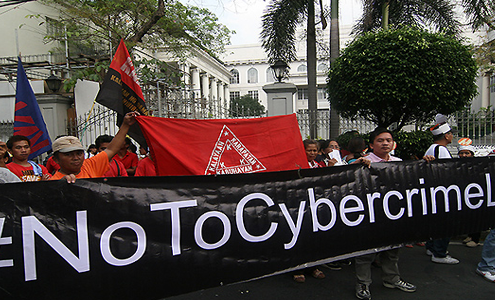 Bloggers and Netizens for Democracy (BAND), a non-government organization, launched a “black protest” to oppose the Supreme Court (SC) ruling to uphold the constitutionality of a provision in the Cybercrime Prevention Act of 2012 that penalizes online libel. When the high court announced its ruling on Tuesday, BAND members changed their social network profile pictures to completely blacked-out photos to signify how they “mourn” the death of freedom of speech and freedom of the press. 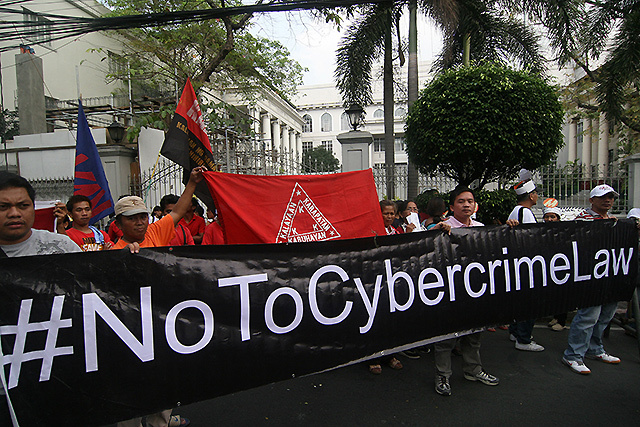 The group is now preparing to appeal the SC ruling since Cybercrime Prevention Act provides heavier penalties for online libel than the kind in other media platforms. 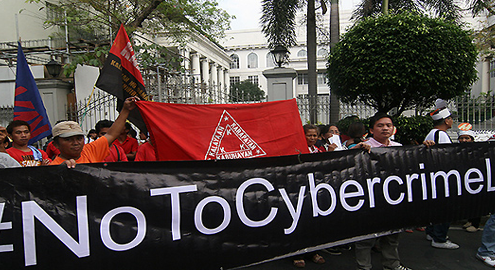 The reactions to the SC ruling are mixed among those petitioning against the Cybercrime Law, with some seeing it as a step towards victory and some believing otherwise. Lawyer Harry Roque said, “This is indeed a major victory for privacy and the right of the people to be secure in their communications,” but he also said the fight against the provisions on criminal libel will continue. Karen de Castro is a Marketing Copywriter for TrueLogic. She graduated from UP Diliman and worked in a major television station in the Philippines before coming to TrueLogic. When she's not writing PRs, blogs and other marketing collateral, you will find her in the kitchen, cooking and baking different concoctions and aspiring to become a chef. Traveling, photography and music keep her imagination active. Learn more about our thought leadership and fresh insights on the trends taking place in the industry.